After a two-hour meditation session, he’s off to spend thousands of dollars on his latest indulgence – stem cell injections. The clinic’s practitioner assures him that removing stem cells from his bone marrow and injecting them into other tissues will rejuvenate them from their fatigued state. When he retires for the night, equipped with melatonin tablets and blue light-blocking glasses to ensure his sleep cycle isn’t disturbed, he’s satisfied with the day’s achievements. He’s taken another small step towards his goal. He may be a product of the 21st century, but he’s also part of the growing contingent who are doing everything in their power to make it alive into the 23rd. Humans have long harbored an obsession with living forever. But all those who shared the quest for immortality have something in common – they failed. And yet the dream of eternity hasn’t wavered. So much so, that many alive today cannot help but wonder if the key to their immortality is already lurking in the ever expanding pool of human knowledge. But what is often left unsaid is that modern science has also revealed the darker side of longevity extension: the inevitable physiological trade offs that seem destined to hold us back. Nature seems set to deny our human forms from having it all. So what will it be: humanity, or something else entirely? Francis Bacon’s symbolic narrative New Atlantis was published in 1627. The unfinished novel portrays a society where humankind has used science to wrestle control of its world from nature. To some, this world represents a foreshadowing of the scientific utopia that we are barreling towards today. But our world, unlike Bacon’s, is one full of self-interest and greed, and it is to these traits that the quest to defy aging belongs. Failed quests for immortality have a long record. In the Epic of Gilgamesh, one of humanity’s oldest tales dating back to the 22nd century BC, the title character embarks on an epic quest to attain everlasting life. After many trials and tribulations, he eventually hears of a flower on the ocean floor that will restore his youth. And despite a warning from the only people ever granted immortality by the gods – that his quest will ruin the joys of life – Gilgamesh plucks the flower from the watery depths. His success doesn’t last. Gilgamesh inevitably loses the flower; and eventually, like all mortals before and after him, he dies. His is a story of defiance against our mortal forms, our endeavor to go to great lengths to overcome them, and the ultimate futility of the idea. It encompasses a theme that still holds significant relevance in the field of anti-aging research. Nearly 2,000 years later, the first emperor of unified China, Qin Shi Huang, also found himself enamored with the idea of ruling forever. He tasked his subjects with finding him the “Elixir of Life”, but as he aged with no answer in sight he began to grow desperate. There is evidence that he began ingesting potions containing the highly toxic compound mercury sulphide. So in an ironic twist of fate, his quest for eternal life may have led him to a premature grave. Fast forward to the 19th century and Elixirs of Life had made their way into the mainstream, with many bars and apothecaries selling their own concoctions. Consisting of water, herbs and a considerable dose of alcohol, these potions, once touted to extend life, have slowly morphed into today’s herbal remedies. By the 1930s, scientists had used experiments on rats to reveal that restricting calories could lead to a significant increase in lifespan, a finding that still holds a lot of weight with today’s immortality seekers. Despite this success, research into the processes of aging remained small scale at best. But a revolution was on the horizon. The year 1945 saw the birth of the Gerontological Society, which established a journal and cultivated research interest in the fledgling field. Its work would prove worthwhile, as by the early 1980s humanity’s understanding of and appetite for aging research had increased considerably. Restricting calories was no longer the sole item on the list of age-halting strategies. New insights into how cells communicate via signaling and the impact of this process on cell behavior had swiftly come to the fore. Most notably were those based around the hormone insulin, which was found to regulate many aspects of aging. Then, in 1990, Daniel Rudman transformed the field with his study of the human growth hormone. He had noticed that the amount of lean body mass (everything in the body except fat) decreased as the amount of growth hormone produced by the body’s cells waned. At this, entrepreneurs sat up and took notice. Many leapt on the idea for monetary gain, determined to sell the hormone as an anti-aging therapy. Journalists were swept along in the wave of excitement, writing of the “shot of youth” and asking if we could now stop aging entirely. The metamorphosis of the anti-aging industry had begun. And although no one quite knew what world would emerge when their longevity mission was done, they were determined that it would be something beautiful. Inside, you’ll find lighting that changes throughout the day, electromagnetic chairs designed to increase customers’ blood flow, and coffee that’s infused with oil and served with butter. These are the entrepreneur Dave Asprey’s Bulletproof coffee houses, located at the very heart of the so-called biohacking movement. We see some of these debatable principles materializing in the Bulletproof coffee shops, with Bulletproof coffee playing the star role but magnetic furniture, grounded floor panels and elevated yoga spots providing a diverse supporting ensemble. And unlike many of Silicon Valley’s anti-aging companies, which pay considerable credence towards genetic variation playing a key role in aging, biohacking adopts a purely epigenetic approach. It preaches that we can achieve longevity simply by changing our habits and lifestyle. 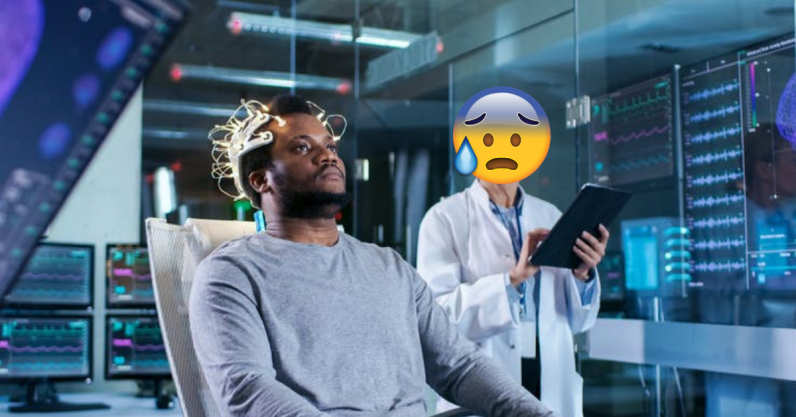 So what sort of physical stressors do biohackers recommend we subject ourselves to? There are many, but an excellent example is the common biohack of taking cold showers. Allegedly, soaking your body in ice cold water provides a boon to the immune system. The scientific evidence supporting this is tentative at best, and highlights the tendency of biohackers to readily extrapolate on scientific findings that reinforce their world view. But you only need to scratch beneath the surface to uncover the murky water beneath. The cold may well train your blood vessels to be responsive, activate calorie-burning brown fat and decrease inflammation, but it is a double-edged sword. Low temperatures can also constrict your blood vessels – increasing blood pressure – and increase your susceptibility to infection. This acts as a counter to the supposed (and unconfirmed) health boon. With this in mind, cold showers and other extreme practices – which Dave Asprey thinks will help him live to 180 years old – are a young person’s game, and might fly in the face of prolonged life. A biohacking practice may yield a net gain in health when you’re young, but as you age there’s a good chance the balance will shift towards a loss. The biohacking field rarely considers the dark side of longevity extension, that every gain comes with a trade off. Research has shown that we can extend life, but at a cost in ability to fight infection. For example, we can extend the life of the fruit fly, Drosophila melanogaster, by forcing them to eat high sugar, low protein diets. This comes at a cost in the form of fewer offspring per parent and a reduced ability to fight infection, a process that requires protein. Zooming in on cellular components reveals the molecular details underlying many such trade offs. The Cinderella story of the anti-aging field is mTOR (mammalian target of rapamycin), a molecule that performs a diverse range of roles sending signals around the body. Controlling mTOR in effect allows us to control much of the cell system, including how it ages and divides. And there are now a raft of anti-aging drugs that modulate the activity of mTOR. The logic behind this being that mTOR only signals the cell to build and grow when there are enough nutrients around for it to be worthwhile. So consuming less food means less mTOR activity, reducing cell growth and, in turn, the rate of cell death. But evidence shows that inhibiting this important molecule’s function not only slows aging but also suppresses the immune system. Our immune system is costly because it uses our precious mitochondria (the batteries that power our cells) to produce toxic compounds and cause inflammation when fighting germs, which damages the mitochondria. So by suppressing the immune system – as shown in both in our own work and elsewhere – we can avoid this sort of damage and make it possible to increase longevity. The trade off between immunity and longevity is a fine example of nature’s way of balancing the scales. Preventing mitochondrial damage and suspending cell death may seem like excellent life-extending practices on their face, but foregoing a fully functional immune response to get there is a heavy, and potentially fatal, price to pay. It’s also worth noting that natural selection has conserved the mTOR-equivalent mechanism throughout the evolution of all animal, fungal, and plant life, which highlights just how useful it must be. Perhaps we shouldn’t be so ready to tamper with such an integral element to the fitness of our cells. There will always be a myriad of ways our mortal forms can go wrong. And we’ve seen that physiological constraints seem set to always hold us back from drastically extending our lifespans and remedying the root cause of aging – if there even is one. But on the border between science fiction and pioneering science rest exciting technological ideas that could perhaps unlock a different kind of immortality. Technology can already help us catch age-related defects early, but it holds the potential to become even better: what if we were able to circumvent biological trade offs entirely? Neuralink aims to take this a step further by seamlessly connecting us to electronic devices, the internet and even other humans. Essentially, we’d all have encyclopedic information on hand and be able to communicate with one another telepathically. Whether we will ever find a way to overcome the physiological trade offs that hold back immortality, or whether we will really be able to replicate human consciousness in a computer are questions too difficult for us yet to answer. But are those leading the charge against death at least inspiring us to lead healthy lives, or are they simply rallying against an inevitable fate? If you were to ask the wealthy patrons of Silicon Valley, the answer would be the former. They’d direct you to the lifespan statistics, which have shown that we survive well over a decade longer on average today than we did just 50 years ago . They’d also emphasize the growing evidence that defies the idea of an “upper limit” on how long an individual can survive. This article is republished from The Conversation by James S. Horton, PhD Candidate, University of Bath and Nicholas K. Priest, Lecturer, University of Bath under a Creative Commons license. Read the original article.